I, Effing Feline, think October is the best month. Why? Because Halloween gives you humans a chance to do what you should be doing every month — pretend you’re something else. Like . . . oh, perhaps — a cat? How very wise, for once! This will be the last snippet from Ed’s newest release, The Guardian Angel of Farflung Station. It’s book 1 of the Repelling the Invasion series — and book 2 will be coming too soon to linger on book 1. Like most security professionals, Duke believed in hunches. Translated into expert-speak, hunches were subconscious personality assessments based on years of study and professional experience. Hunches elevated human cops over robots, and a hunch told him Silent Sally wasn’t dangerous . . . to anyone but him, that is. Duke paused to analyze his motivation, as training dictated: was he thinking with his groin? Well, yes and no; being as honest as possible, no, she probably wasn’t a serious case for Security, but yes, his groin was part of the inner dialogue. With a growl, Duke tore his gaze from her mesmerizing eyes. He was getting carried away by the first delicious body he’d held since he took command of this station’s detachment — homones and frustration, that’s all he was feeling, not premonitions, not desire. “Talk,” he barked in his best cop voice. After another quick shlup, she opened her mouth wide. Effing Feline here again. Even better than dressing up like cats, though, is the idea of dressing up your dog as a cat. The effect is divine. Even better, it must be humiliating for the poor dog. I feel sooooo, soooooooo sorry for this poor pooch. The space pirates think they’ve conquered Farflung Space Station — but they didn’t count on Duke. The station’s Head of Security wants to prove to his army-officer parents he’s outgrown his youthful rebelliousness, and defeating a small army of pirates (almost) single-handedly is the perfect opportunity. And most importantly, the pirates didn’t count on Sandrina. After loving Duke from afar, she now yearns to fight with him — and for him. The attractive waif has discovered so many of Farflung’s secrets that she’s the most powerful person on the station, though nobody knows it yet. And finally, Rescuing Prince Charming is available at a special price of just 99c. Possibly my all-time favorite costume was dressing up as a black cat! Effing approves of your costume. Well, that’s quite the turn of events. Reminds me of the movie End of Days. The question is, who didn’t want her to talk? 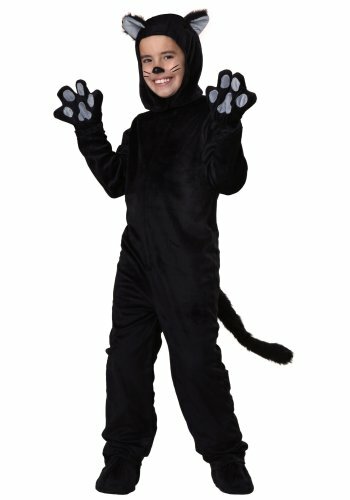 I’ve never dressed up as a cat, but helped my daughter dress up as a black cat a couple years ago. Yes, it’s a big turn of events, even though it’s in chapter one. How awful for her . . . how cool for us as readers to have such a unique turn of characterization. Now we can’t WAIT to learn her back story. Great job, Ed!! I’m glad you find this interesting. Others, I’m sure, will find it offputting, which is a shame; she overcomes her handicap in such spectacular fashion. That was such a poignant moment, Ed. She really had to trust him to show him her mouth. Yeah, although she appears normal she is, in fact greatly handicapped. Poor thing, very dramatic reveal in this snippet! I just hope the high drama doesn’t turn off too many readers. She really and truly isn’t a “poor thing,” though. As the book gradually makes clear, she’s actually the most powerful person on the station. And what I love about her is that she’s determined to use her powers for the side of goodness and light. You frightened me with the last sentence, sad to say. Love the romance lines, you rascal. As I said in the intro, her wound will undoubtedly turn some people off. That’s a serious impediment to telling the truth, or lying. Great idea. It means a lot of interior dialogue. I love the dog dressed as a cat and ooks like a small lion. The stories sound so exciting. I can’t wait to find out what happens next. If a dog has to look like a cat, at least it’s a ferocious cat. I have to say, with everything going on in the world, that image really hit me hard. I’m glad this character is in your capable, compassionate hands. Although she seems like a poor kid, she overcomes her handicap in very spectacular fashion. 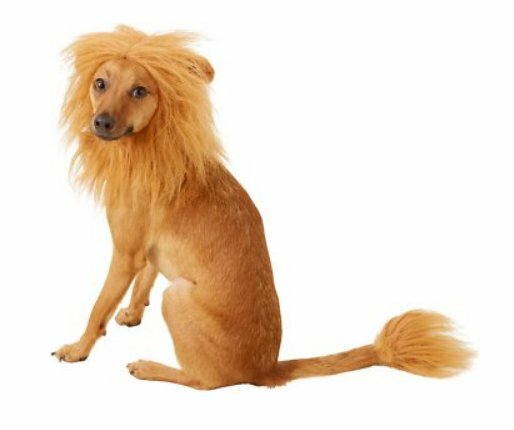 Effing, I’ve never dressed up as a cat, but my dog – who looks very much like the one in your picture, except he is more black and tan than just tan – while he doesn’t approve of dogs being dressed up, he thinks the lion disguise is a great idea – he’s been practicing his roar and is very good at it! Now he wants me to buy him he mane and tail tuft! Your review is back up, too. Once the book was live, I asked the Author Central folks to link edition one’s reviews to edition two. By that afternoon, bingo. I wondered for a moment if she was a different species after all. or if it was the way she was born. Now, though, I’m guessing someone silenced her. The plot definitely thickens! Effing, I dressed up as a cat for Halloween back in my early college days. I loved it! LOL. In science fiction, I guess ‘different species’ is always a possibility. Bet that shocked him. Now I want to know her backstory. So does he, and he’s not going to rest until he finds out. I probably was just as shocked as he was that she had no tongue. Great snippet. Wow, Karen, that’s quite a response. Thanks for telling me. And that is certainly putting a crimp in Duke’s plans to interrogate her. Yeah, it causes all sorts of problems (and opportunities that ripple through the rest of the book). Oh, wow … didn’t expect that. Obviously someone else didn’t want her to talk. Loved the inner dialogue. Great snippet. People take tongues for granted, so of course you didn’t expect that. Yes, hunches can be great, as long as they’re used to generate hypotheses rather hard-and-fast theories. That’s why it’s so necessary for him to be honest with himself.